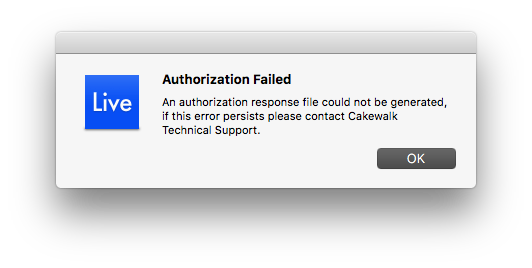 Home » [Cakewalk Products] » Cakewalk Instruments » Offline activation broken? And there is no Technical support. I thought Cakewalk/Gibson said they wouldn't allow this to happen? Maybe it's the Bandlab purchase and Bandlab would just love to screw over us users with total silence on how to handle existing licenses? Update: OK, so read up on the Bandlab purchase and the thread in Sonar only to realize that more than a month later I have no apparent way to activate my Cakewalk products. I did create a Bandlab account and verified it, but so far I see nothing on how to actually get my products activated. Did you try running the standalone version of Z3TA+ 2.2 after installing it from the Cakewalk Command Center? I'm on Mac. There is no standalone Z3TA+ 2 version as far as I can see. I even re-installed to make sure. Bandlab have said recently cakewalk.com is inoperative even if sections "might work". You need a Bandlab account with the same email address as on Cakewalk to have your accounts automatically transferred. What I lack is information on what do to next. There's no current area at Bandlab where you can see your software and no activation area I could find either. If you can install from CCC, there shouldn't be an activation necessary. That is supposed to be handled through CCC. This is what I meant with this activation function being "broken", OK? It doesn't work! Have you tried activating anything since Bandlab's announcement? There have been several posts by users installing SONAR using the Command Center after the BandLab announcement. The activation process was part of the BandLab purchase and has been discussed in the SONAR area. Unfortunately, I have no way to test Mac products. I am not sure if BandLab support is ready for Cakewalk related support questions or if there will be a separate contact for them. It is all pretty new. Have you tried activating anything since Bandlab's announcement? Yes, I have and it worked. The activation servers still appear to be online and working, and that has been BandLab's clear intent. So I have no idea where your issue is at. One question I have seen come up with a few users is an issue with their product needing to be re-activated. Usually logging out of CCC and back in corrects the issue. Maybe worth a try. Try any other DAWs yet? Live could be the issue. As with what scook stated, I don't run a Mac either, so no way to test that. Good luck! scookThe activation process was part of the BandLab purchase and has been discussed in the SONAR area. What purchase is this? The official Bandlab information ties existing product licenses to accounts made with the same email address as with Cakewalk. There was no talk about purchases as far as I could see. He was referring to the Cakewalk assets that were purchased by BandLab, including the activation servers and processes for the legacy products. I have no idea why I even had to activate as this machine and SSD already was activated. I can't use one of my fav synths, nor finish songs with Z3TA+ 2 so I feel pretty peeved at the moment. On the other hand Bandlab might be better than Gibson just killing it. Or not. Well, they're online all-right but the response challenge code isn't accepted. According to the Bandlab info nothing in cakewalk.com must be working during the initiated transition period, but might work anyway. Or, as in my case, not. I saw something stated that they intend to get around to the Cakewalk instruments sometime after the DAW launch. But no timeline for the Cakewalk instrument support, or future roadmap for them has been announced yet. As the transition is still a work in progress, I would keep checking periodically, and hopefully you can get activated again. I just tried the Command Center route again. I'm happy to report that both my activations now worked out. Yay! I haven't tried the offline activation so can't say if that would also work. Assuming this is official information I can quote here this is what Bandlab said about the matter when they this morning kindly answered my questions: When will we be able to activate plug-in products like Z3TA+ 2 again? Do you intend to keep this product going? In any case will you supply an activation method that actually works? . "Please be aware that BandLab did not acquire the operating company Cakewalk, but rather the IP and related assets. This essentially means that we did not release Z3TA+ 2, and have not rereleased this now that Cakewalk is part of the BandLab family. The first product we have brought to market is Cakewalk by BandLab, available for Windows, via BandLab Assistant. It doesn't seem as if your product was officially tested on OSX 10.12.6, but you may have better luck using Command Center to update/authorize Z3TA for use. Parts of the legacy cakewalk.com site may no longer be accurate or functional, but Command Center should be operational for a limited time. We are in early stages of planning and certainly are listening to user feedback relating to previous products. We do not have a timeline for bringing any particular plugins or instruments back, but should have more information available soon. Please feel free to check back at cakewalk.bandlab.com for more information". As a side-note I'm pretty sure the Z3TA+ 2 Mac releases about one year ago specifically was for 10.12 compatibility. This is a user forum. BandLab staff my respond here but there is no guarantee. BandLab has setup a support page. scookThis is a user forum. BandLab staff my respond here but there is no guarantee. I'm not sure what led you to believe I don't understand this? The difficulty at the time to find the right way to contact Bandlab was what led me to post in the user forums. And you guys have been informative and helpful, which I'm grateful for. scookBandLab has setup a support page. Thanks for sharing. I've both contacted and got a response from bandlab. I contacted them at the email address support@bandlab.com. They responded in an acceptable manner. There was no solution presented as such. Just one day the online activation with Command Center worked out. I have not succeeded with the off-line activation once though. You get a code and it doesn't work. I was having trouble with the offline activation for Cakewalk Platinum. When I uploaded the response file, Cakewalk would keep returning a message that it was still in demo mode. I then ran the Cakewalk program shortcut in Admin mode, and things seems to take. Hopefully this helps someone else. Almost blew a gasket thinking I wouldn't be able to use what I paid $300 for if I didn't have access to the internet, and/or Command Center gets dropped in the near future.